At DLC, we think change is critical for organizations to serve their client base better because looking beyond the curve is the definite path to customer happiness and loyalty. Simply asking the question “Why?” can lead to looking at the tea leaves for new ideas. We kicked off this process at DLC by thinking about new ways of looking at customer needs, new ways of delivering customer service, new ways of strengthening customer interactions and new products that might attract new markets. During the process of introspection, we realized that the way customers consume information has evolved. 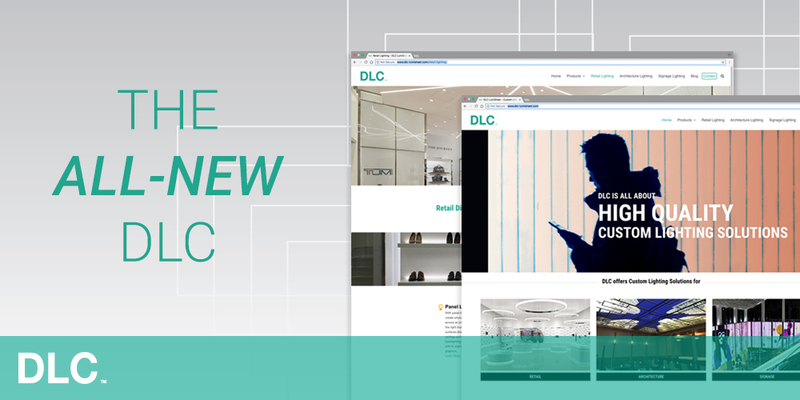 While we’re not finished yet, we’ve revamped the look and feel of our website to match the changing brand identity of DLC. But, most importantly, we redesigned the website so that you can find the information you need in a logical, easy manner. Our industry solutions for Retail lighting, Architectural lighting, and Signage lighting and our product categories are now the simplest way to find any lighting product you need. Out of sight might be out of mind for other companies. But, at DLC, we’ve been the first choice for any lighting requirement for many years. We’ve decided to go a different path in terms of how that information is tailored in the form of a more frequent blog to help you meet your informational requirements with respect to lighting. While charting a new direction is the first step of many steps, what’s important is that these changes are made with one person in mind: you. With our improved site navigation and content, you’ll now be able to provide your downstream customers with more and better information about industry trends, cutting-edge technology and new products. It’s the start of a new journey for us and we’re glad that we’re starting off on common ground with you. We’d love for you to reach out to us to let us know what you think.